”Anything green he touches grows abundantly,” says Godofredo Rotor, Children’s Desk staff and mentor to Rowelan Sarana Meling (19). When Rowelan, commonly known as Yugyug, volunteered to garden at the Pasali’s Fatima SUGa , he discovered he had a green thumb. The produce of his own garden now supplements his family’s meals. Born of a T’boli father and B’laan mother with limited means, Yugyug was early exposed to poverty and discrimination. Food became scarce for him and his four siblings when his father was away working as farmer and his mother quit work due to illness. With his parents’ incapability to pay tuition in 2008, he missed classes of his 2nd year high school and faced total drop-out. Without any prospects he was turning to the streets and would have ended in crime like many of his poverty-stricken peers. Fortunately, he joined Pasali’s Literacy and Numeracy course of the Alternative Learning System recognized by the Department of Education. There, he was motivated by Children’s Desk to continue his second year of highschool with the assistance of Pasali’s Adopt-a-Student. 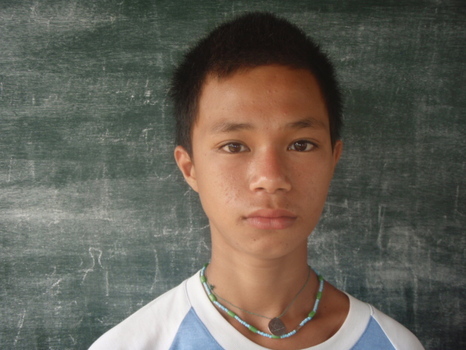 As a sponsored beneficiary, he was able to graduate in 2010 despite the 3 kilometer daily walk home to school. At times when he came to the office at lunch for some water, concerned Pasali staff would catch him with an empty stomach and insist the boy share their own meals. Today Yugyug works at a local food processing plant while actively seeking other employment. His monthly income of P6,000 to P7,000, goes to his and siblings’ needs. His younger 6th grader brother is now an AAS beneficiary and they spend weekends with other Tri-people families at the Fatima SUGa.